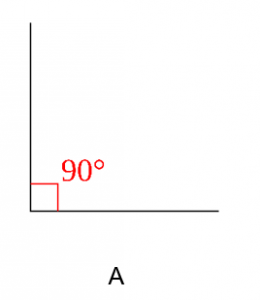 We start with two important angles, 90 degrees and 180 degrees. These have special names. 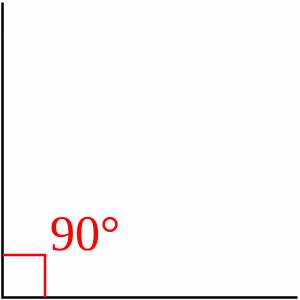 The right angle is exactly 90° and is shown with a little square. 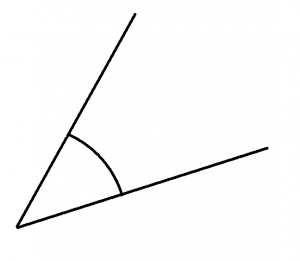 We have three other types of angles, which we define using the right angle and straight line. 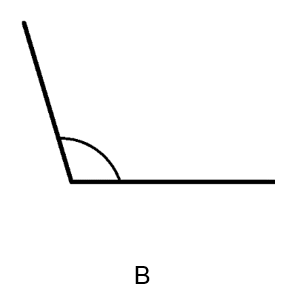 Question 1: Which triangle angle is the right angle? 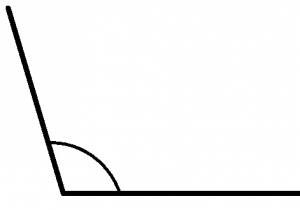 Angle A is the right angle. 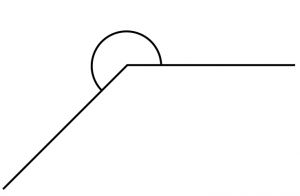 Question 2: Which angle is the reflex angle? 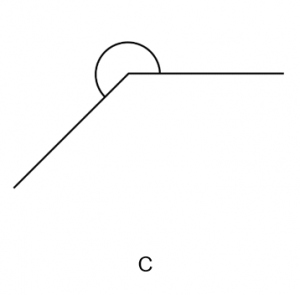 Angle C is the reflex angle.